Be it an application for admission in a University or a job, one cannot go ahead without a resume. Due to the growing competition in higher education & employment, it is must for a resume to be relevant, crisp & well formatted to suit the specific application. If you yet to draft your resume, then you need to work on the relevant content, presentation, formatting, font, styling, order and fact placement. In case you already have a draft resume, then this checklist will help you to give your resume the competitive edge. Let us checkout this quick checklist to help you review your resume by yourself. Please cover the purpose of resume writing in 2 sentences followed by how to use this blog and templates to write one’s own resume. What to cover in each section? Add updated contact details. Always specify an alternate email id or phone number to avoid any kind of lost opportunities. It is advisable to have a clear idea as to what are the specifications of the photo that needs to be attached in your resume. Try using a customized resume objective depicting a mix of skills and abilities against achievements. Use keywords from the job posting against which you are updating your resume objective. Objective is just like giving a brand statement for self. Include your present career status and where you see yourself down the line. In doing so don’t just stress on what you wish to achieve do add value as to what attributes in you can the company rely on for their progress. This section is the most important one in the whole resume, though lately some critics claim it otherwise. It can act as a ticket to the job directly or may even lead your resume to trash, if not appropriate. It is recommended to check quality examples of objectives used in sample resumes in order to draft your objective. Start with the latest work experience. Add a little of role details, especially the ones that match with the applied for position. Use a bulleted list depicting all your responsibilities. Modulate and present in a way that show you can be relied upon for the new position you are applying from based on your previous experiences. Try depicting that in some form or other you have taken up the responsibilities and your efforts have been appreciated by all, that you ought to take up for the new position. Be assured, you are not the only one struggling to find a good way to depict your responsibilities. There is a plethora of ideas to create the experience section of your resume needs to be explored. You definitely would be in a doubt if in case you have some breaks in education or hold incomplete courses in your bag. Have a look at the above example to see what to include in experience if you are a fresher and do not have any relevant experience in the field you are applying for. Try including all college projects in that case. As a recommendation it is advisable to check examples and understand the requirements of the education section. Don’t be shy and too generous in stating your achievements. A good way to depict your exceptional performance could be by stating the appreciations you received from your seniors, colleagues and other’s at work. Try relating your achievements and awards to the role you are applying for and present them accordingly. Your presentation and tone used matter a lot. Read through the below appended resources to know how best you can depict your achievements in your resume. Depicting particular skills required for the job applying for. Show efficiency in carrying out activity that forms the major role as part of the job. Depict results achieved as part of capability. The above list need not be used in similar terminology. One needs to frame the point fitting to his/her capability and work front. The tips suggested are highly recommended to be read when framing this section. The photo you add should be a head shot without sunglasses or cap. Add proper and updated email id, address as well phone numbers. Do not forget to add alternative id or numbers if you have one. Do not limit to just first name. Add your full name. Alongwith add the highest degree you hold just below your name. Also, this helps the employer to locate the candidate and check the social profiles to have a better understanding of the personality of the applying candidate. See the sample below to check the basic ddetails that are usually added in the section. Tip: Keep your social profiles clean. As they too are supporting evidences along with your resume. Activities of interest and personal interests that may have indirect link to the job applying for. Like in case if you applying for a role that needs you to be active and you depict a sports of your interest and depict achievement in that, that needs you to be active, would be of help. Add a photo. Do not add any fancy photo. Let it be recent as well as formal. 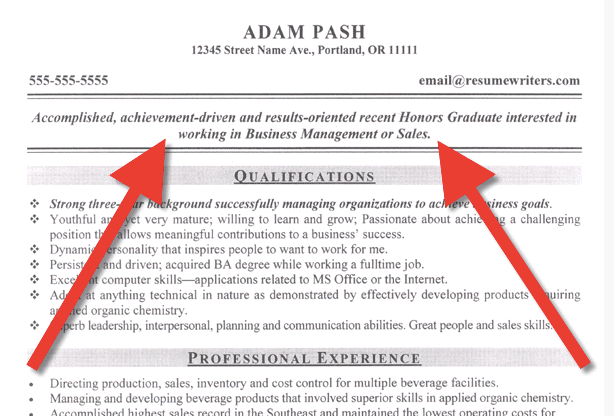 Include it on top of your resume where you add your personal contact details. Add references. Do not include the name of your existing boss. As the references would be contacted probably on immediate basis. If you are a student, check all you need to know about creating your resume. Just knowing the sections and their content does not guarantee success in creating a highly effective resume. One needs to be clear, as to which are the most common mistakes that are made in creating a resume and how they can be avoided. Which format to use and when. Check out the details and samples you need to add in all the above mentioned sections. 2.The Functional or Skills-based Format : The format is usually used in cases when there is some gap or imperfection in work experience or the candidate plans to switch industry. Check out the details and samples you need to add in all the above-mentioned sections. 3.The Combination Resume Format: The format is specifically used by ones who hold a good work experience. But usually not advisable to be used by fresher’s. The style in most cases is used for applying for job profiles that require more of technical skills as a combination of skills and expertise of candidate needs to be displayed. Choose this style if your accomplishments are worth showing and related to the position you are applying for. Check out the details and samples you need to add in all the above mentioned samples. Other than the specific styles and formats specified above. A general checklist is at your disposal in regard to formatting and styling your resume. Be assured that you are not among the one who get confused between a CV and a resume. If so the whole lot of efforts you add to create your resume goes in vain. Have a look below to see what are the difference between the two. A few sample templates would be of your help. This entry was posted in Academics and tagged Cheat Sheets with Samples. Bookmark the permalink.